I have some in a box somewhere but today I found some in the wild for the first time, at our pediatrician's city centre office. My three girls loved it, so easy to stack while still remaining rigid enough not to fall apart under the attention of grasping hands. My girls have been playing with Duplo for a few months now and can stack if they concentrate but they can't really build anything just yet. Primo seems perfect for their age (17 months adjusted). They were building walls and vehicles very easily. Anyone know why the line didn't persist? I suppose kids were progressing to Duplo so quickly that Primo didn't seem like a good investment to most parents. I'd guess that lack of compatibility with other LEGO systems did not help the PRIMO line. The ones I miss are QUATRO, which can be used with DUPLO, and the LEGO Education Soft Bricks. If you can find them, I highly recommend the soft bricks. They fit together easily, and if you build a huge tower it falls quite spectacularly with minimal risk of injuring little builders. I'm not 100% certain but I think Primo is compatible with Duplo via a special brick that was produced. Not like system/Duplo via the readily available 2x4 though. Never seen Quatro in the flesh, still hoping to come across some so I can add to my collection. When ordering on BO/BL I sometimes check if the store has some. I recall reading the narrow age range of it made it unprofitable like you surmised. Not sure where though. Ooo... going back in time on this one. From what I recall, the introduction of Primo was very limited and had the unintended consequence of increasing Duplo's sales. Between lackluster initial sales and the bump in Duplo, Primo did not last. Same rationale with Quattro. Although accepted as an excellent toddler toy, there was an insufficient market for a premium building toy with such a limited audience. I see both Primo and Quatro at the local thrift shop fairly often, but the cost of shipping them would probably be prohibitive. Only found the soft bricks there a couple of times, and I agree new ones are very expensive. 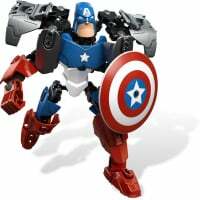 Besides the target age range for Primo being fairly narrow compared to Duplo or System (6 to 24 months), I also feel as though another factor is that in America, at least, Mega Bloks are fairly popular for that infant age range, and a LOT cheaper. In fact, a big part of the motivation for changing the name of their standard-size building sets to "Mega Construx" was finding after the Mattel acquisition that buyers largely associated the "Mega Bloks" brand name with their own jumbo-sized bricks. Naturally, as long as there are not safety concerns, parents of kids that young often tend to be more concerned about price than aesthetic or material quality. After all, they'll probably be thrifting the bricks or putting them up at low prices online or in a yard sale before long, unless they have kids much more frequently than many adults tend to these days. Another factor might have to do with the internal costs of Primo. Since the basic stacking play of typical Primo bricks doesn't offer that much more to infants than they can get from many other types of block sets and stacking toys, a lot of the investments in Primo went towards vaguely gimmicky toys with other sorts of sensory appeal — tub toys with nets or squirting features, rattles, roll-on storage toys, the iconic bouncy rolling caterpillar, teething toys, soft cloth toys, light and sound toys, mirror bricks, musical toys, "catapult" pieces that pop figures or bricks into the air, bendy flower stems, bug-patterned bricks with pullback motors, numerous shape-matching puzzle toys, etc. After the rebranding of all of LEGO's preschool toys to "Explore" and the emphasis on play types besides building sets/playsets with figures things got even more wildly out of hand. It's easy to see why after the 2003 crisis brought scrutiny onto the number of expensive new parts were being introduced even for use in small numbers of sets, Primo must have looked like something of a money sink compared to System, Duplo, or even Bionicle, which were typically getting much more use out of much less expensive parts, and were selling far more of the resulting sets. It also probably didn't help that none of the various brand names for this system (Primo, LEGO Baby, or LEGO Explore) ever really became a household name like LEGO, Duplo, and Bionicle had all become by the mid 2000s. When you're trying to build a reputation for value, safety, and quality, you want a brand name that parents will automatically associate with that. And the baby/toddler toys space in particular is highly competitive, with lots of names parents (in the United States, at least) will recognize in an instant like Little Tikes, Playskool, Fisher-Price, etc. It's not that the Primo sets were bad toys, just that the LEGO Group's business model depends heavily on extensive use of small, simple, versatile parts. Otherwise it's hard to justify the expenses associated with the quality they built their reputation on. And the difficulty of offering Primo-aged infants varied experiences beyond basic stacking with basic elements means that it's not really very compatible with that business model — at least, not in such a highly competitive market space. Thanks everybody for awesome analysis! Anecdotally we’ve just gone through the pre-Duplo age range ourselves, and can verify many of the thoughts posted already. 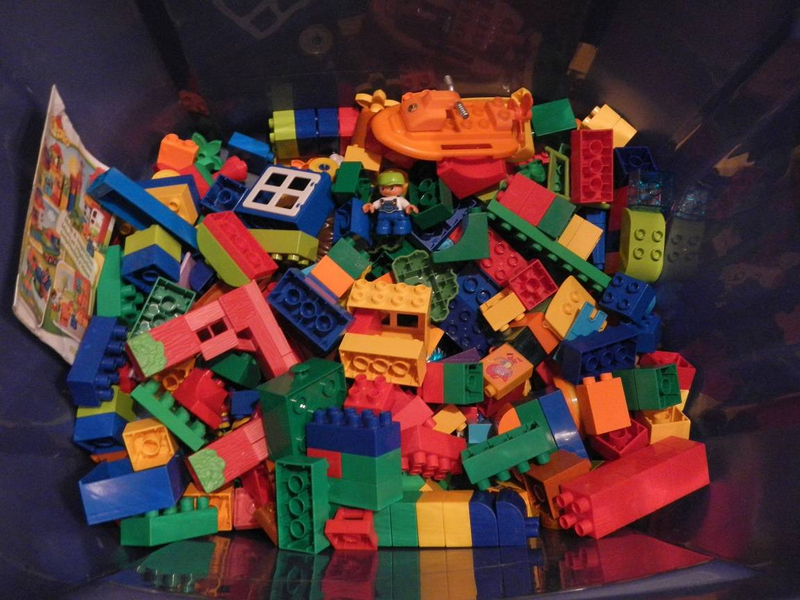 When our granddaughter seemed old enough to build, my wife went & bought her “legos” (ie: megablox) which are readily & cheaply available second hand, at thrifts, etc (where Duplo is non-existent). I bought her first Duplo set. At first my wife didn’t understand what I meant about LEGO Legos, and not having grown up with them as a toy, she had no idea the possibilities beyond just simply stacking some blocks up. Now however? We have a football toxbox full of Duplo (some new, some we’ve got lucky & found secondhand in great shape), which is used by kids happily along with AFOL’s teaching them. And my wife? She has her own collection of Friends. No word on whether any of those will get passed down to our granddaughter yet. I do admit, maybe even a little guilty, I haven’t pushed to source out LEGO pre-Duplo sets at all for them either to replace the megablox. The few MB we have serve their purpose well enough for the short age range they’re intended for, and so put toy money into Duplo instead. If local thrift stores are coming up short, Craigslist might have some Duplo for you, although the Calgary listings don't have much today. I did see one $60 ad in Kalispell, but there's some Megablocks mixed in that batch. Megablocks Duplo-sized bricks have studs that are just a little taller than Duplo, just enough to be really annoying (as if having them mixed together was not annoying already) because they don't quite fit together right. Compare the red 2x2 in the bottom right, and green and blue 2x4 bricks, the studs are taller than the genuine Duplo. Duplo also has a different texture, shinier than the Megablocks, but that is often harder to spot in pictures online. Thanks for the tips! That would be very hard to spot in a pic of a mixed lot! They look quite similar to me in the example pic. We’ve typically targeted sets which are complete and have the character figs with them, so have so far avoided the mixed lots. But now I know what to look for!